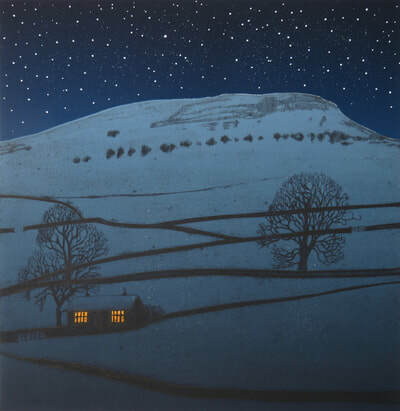 Hester’s studio is in the Yorkshire Dales National Park and she has spent most of her working life living in rural places. 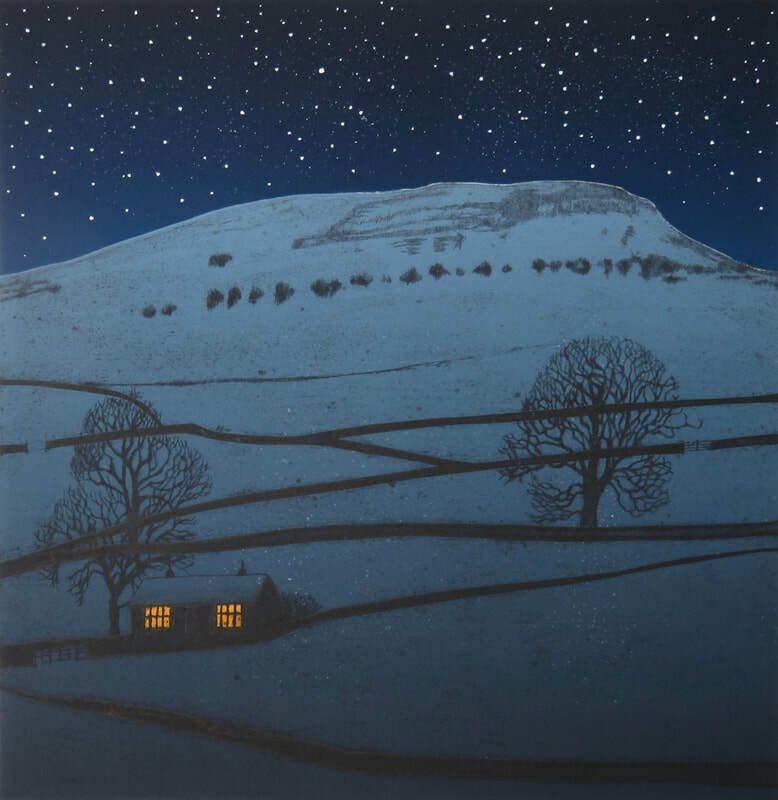 As a keen fellrunner, her excursions often take her to wilder less visited locations in all weathers and at all times of year. 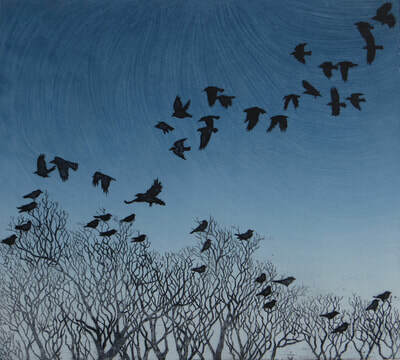 It is invariably her physical experience of a place that inspires a new piece of work. 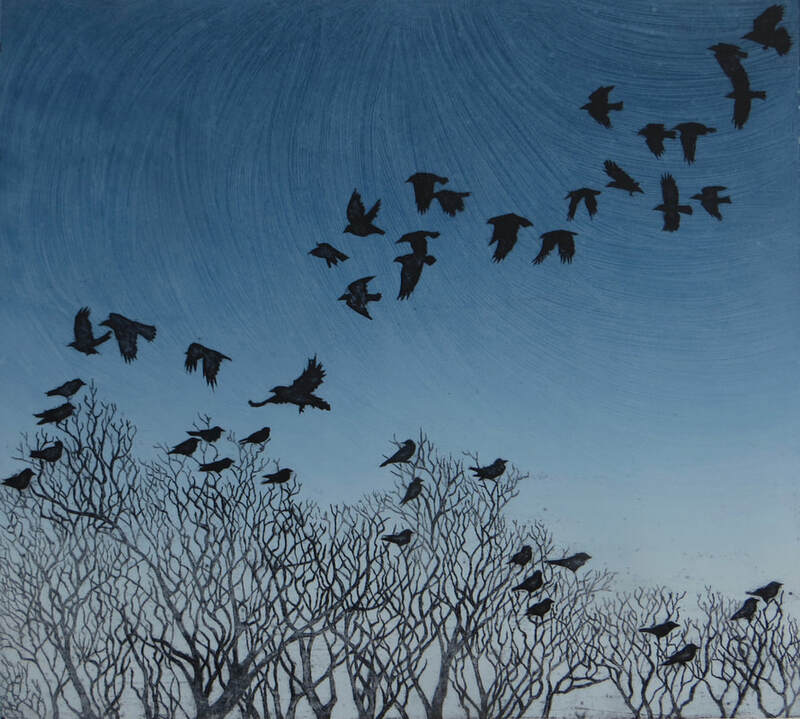 By using multiple plates, painted textures and intricate cutting in her collagraph printmaking she aims to accentuate the colours and patterns found in the natural world and draw attention to the everyday occurrences that happen around us but that are often forgotten. 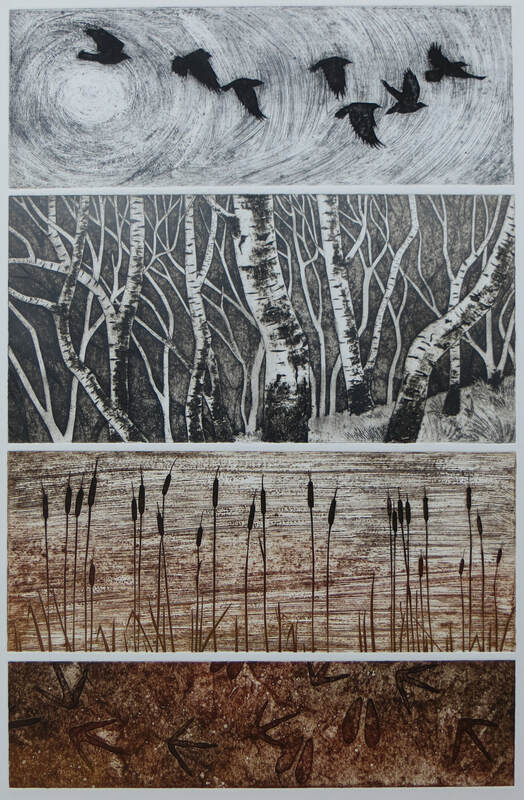 She is a member of Leeds Fine Artists, Printmakers Circle, Northern Print, Craven Arts and Ålgården Studios in Sweden exhibiting widely and teaching printmaking workshops across the UK and Sweden. 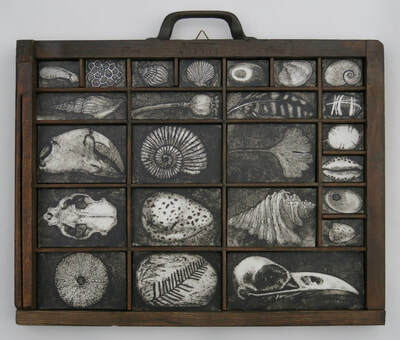 Awards include an Extending Practice Award from Chrysalis Arts, which allowed her to work with the British and Yorkshire Museums. 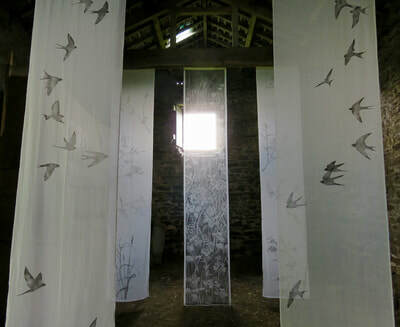 In 2015 she was selected to take part in Mirror Images, an international printmaking exhibition, which took place simultaneously in North Yorkshire, Scotland, Finland and Sweden. She has been shortlisted twice for the New Lights Prize Exhibition & her reductive monotype, ‘Meadowsweet’, is currently touring with the 2017/18 show. 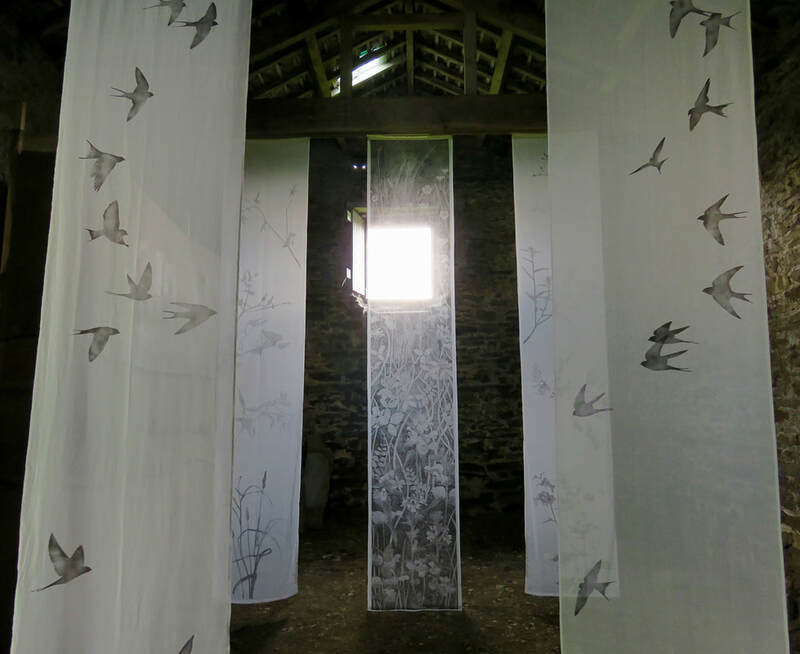 In 2017 her large-scale print installation, ‘Within These Walls’, was shown in a field barn during Grassington Festival. 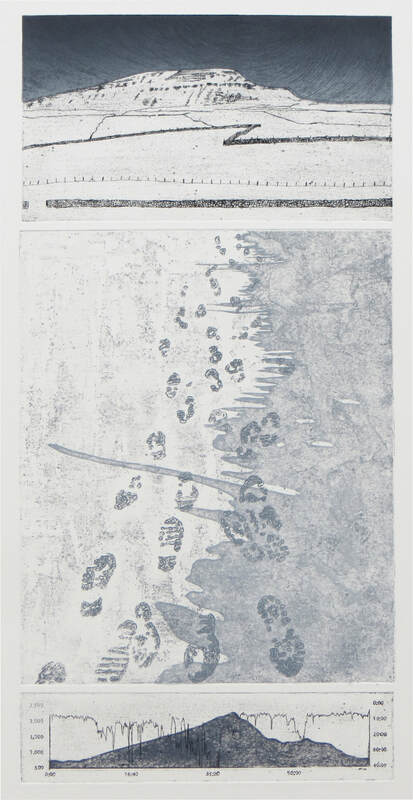 Prints from this project, including a 4-metre intaglio collagraph, have been purchased for public display in Västra Gotäland, Sweden. 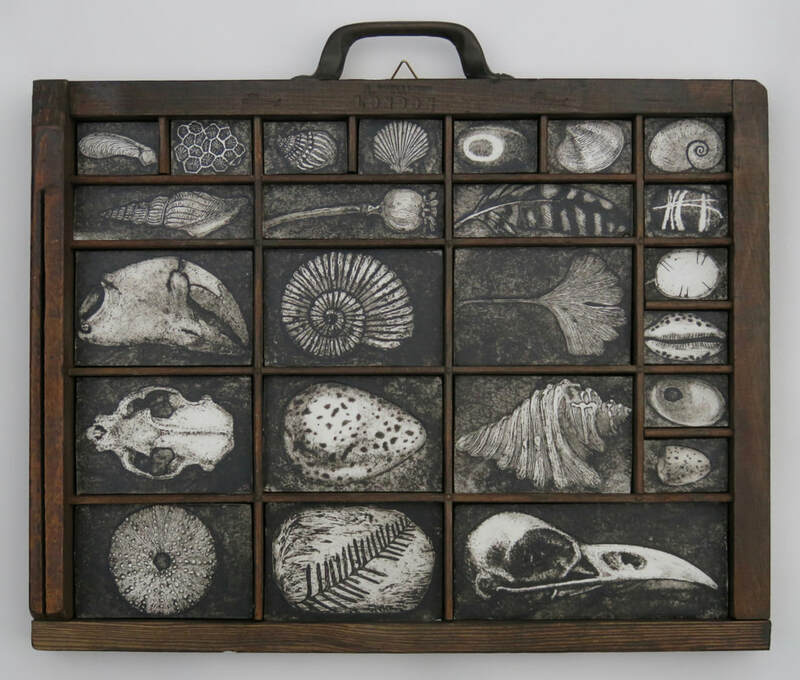 Since 2015 Hester has been working on a collaborative project, ‘Collections’, with mixed-media artist Josie Beszant and ceramicist Charlotte Morrison.